Forget about Star Wars Battlefront 2 and its controversial microtransactions for a moment – this is something else entirely. Because while Electronic Arts’ new Star Wars video game was dissed by fans and the press alike for letting players buy loot boxes containing items which granted advantages in-game, Star Citizen is now selling virtual plots of land for $50 apiece. In case you haven’t heard of Star Citizen, it’s an upcoming space combat video game, the development of which is being spearheaded by none other than industry legend Chris Roberts. The man was behind the Wing Commander games of the 90’s and other classics like Strike Commander, so it’s understandable that his latest project Star Citizen has received a lot of interest. The game is also the number one crowdfunded effort in video game history, having raised more than $160 million US dollars to date in pledges. However, same would say that Roberts’ game has ended up in “development hell”, as work on Star Citizen began in 2011, but it seems the space combat simulator is nowhere near complete yet, and the eagerly anticipated Alpha version of the game, which was to give players an entire solar system to explore, was recently delayed. Star Citizen has been good at generating buzz though, and people keep funding the game by purchasing spaceships for instance, which they will be able to enjoy in-game when Star Citizen hits shelves at some point in the future. The game also attracted attention last year when developer Cloud Imperium Games (CIG for short) hired A-list actors to star in the game’s single player campaign titled Squadron 42, the release date for which is still unknown (it was scheduled for a late 2016 release but was since delayed). 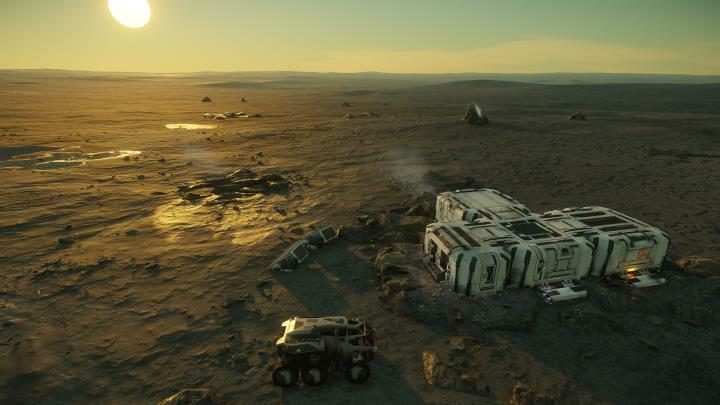 But now Star Citizen will be offering Land Claim Licenses for $50 dollars apiece for a 4 x 4 kilometer parcel, while paying $100 gets you a bigger area of 8 x 8 kilometers, a way of funding the game’s ongoing development that has raised eyebrows amongst the Star Citizen community. After all, this involves paying almost as much as a full game costs or more to claim a plot of land in a yet unreleased game the development of which has now been going on for years, and doesn’t seem to be a very wise way to spend one’s hard earned cash, truth be told. This is especially true taking into account that it will be possible to buy land using credits earned in-game too, so by paying for the license now you’ll just be getting early access to it when Star Citizen is finally released. Star Citizen has broken all crowdfunding records, but will the game be finished anytime soon? Also, CIG has revealed in its FAQ about the subject that all players will be on equal footing when it comes to grabbing land in the game, and since Star Citizen spans an entire universe, there will be plenty of if for everyone too. “People that own claim licenses now, during the anniversary sale to support development, and people that earn the money in-game to buy one will be on equal footing assuming they have enough UEC, especially as there will be millions of locations for people to explore and claim within the Universe over the lifetime of the game”, wrote CIG in its FAQ. But some might still be worried by the fact the game has no release date yet, despite being announced back in 2011, and also due to the fact that CIG keeps coming up with ingenious ways to obtain funds to continue the game’s development, despite having raised more than $160 million already. 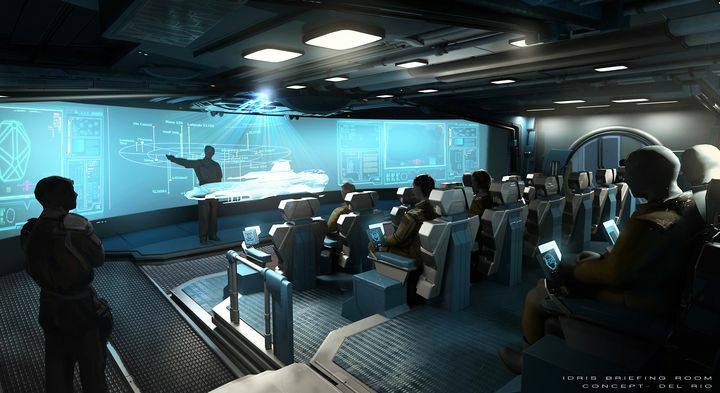 Of course, this is a wildly ambitious project which the developer claims will offer an entire, persistent universe to explore, space combat, trading (and also a real state economy, as we already know…) with hundreds of concurrent players, plus there’s also the game’s single player campaign Squadron 42 which will likely launch before the main game itself. Nonetheless, some have referred to CIG’s game as a scam, perhaps unjustly so, but the truth is that Chris Roberts company has managed to get people to pledge hundreds, if not thousands of dollars to a project that has no release date yet. And arguably Star Citizen’s new Land Claim Licenses are even worse than the microtransactions found in a game like Star Wars Battlefront 2, as they involve putting money down for a feature that’s not yet live and which might end up working in a completely different way, or be entirely absent from the game when Star Citizen finally exits the development phase. So, will Star Citizen prove its naysayers wrong and turn out to be a great PC game when it finally sees the light of day? This remains to be seen, but hopefully the game will be finished sooner rather than later, and end up being as good as its supporters hope it will be when its finally complete.